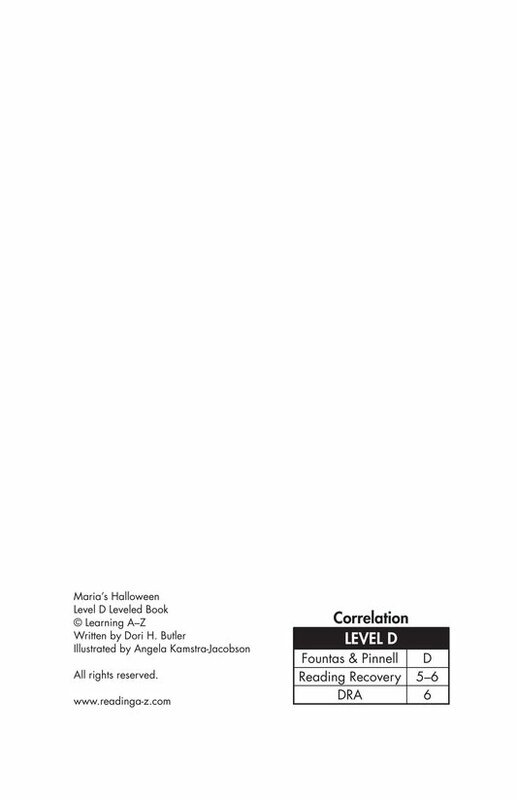 Realistic (fiction) 77 words, Level D (Grade 1), Lexile 170L. 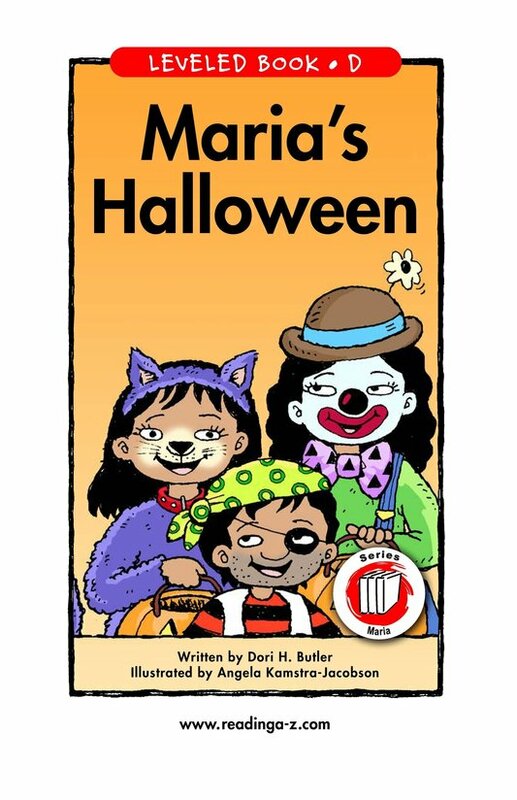 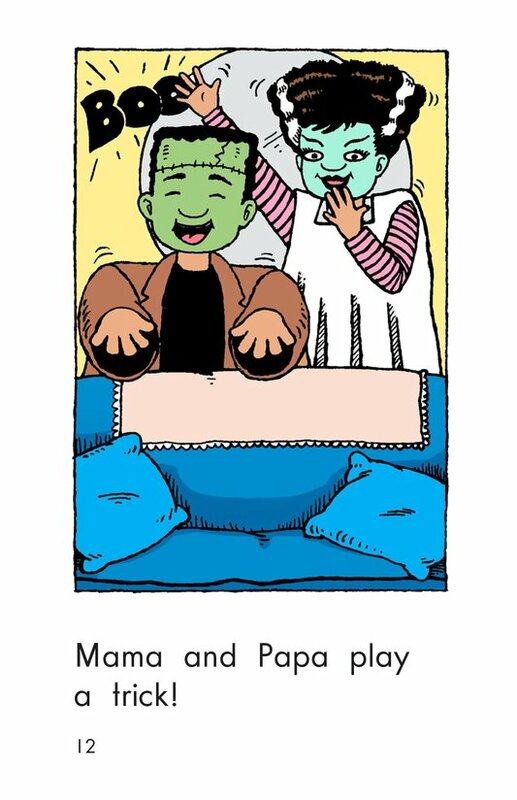 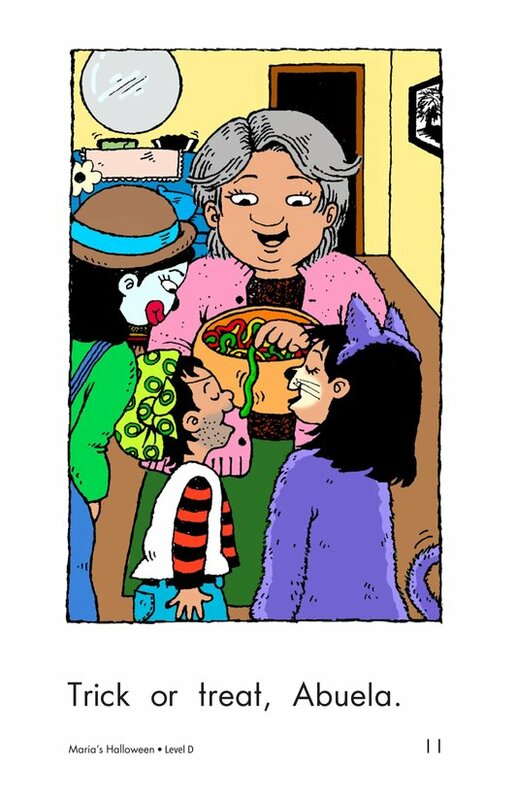 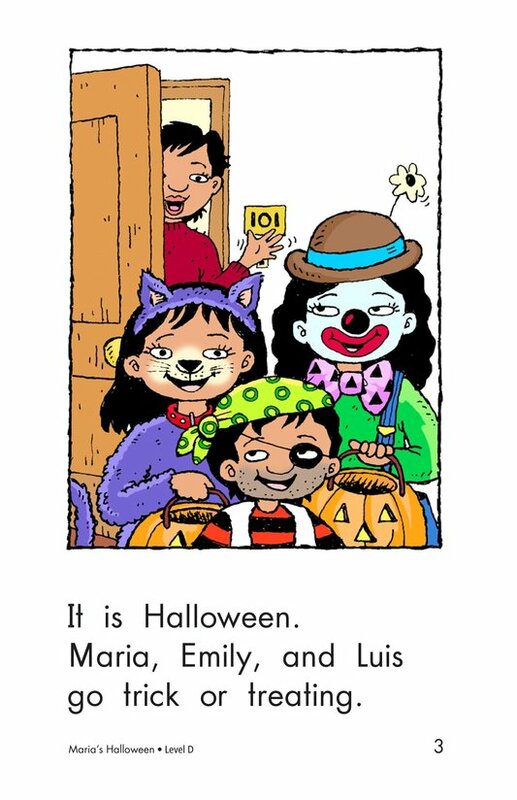 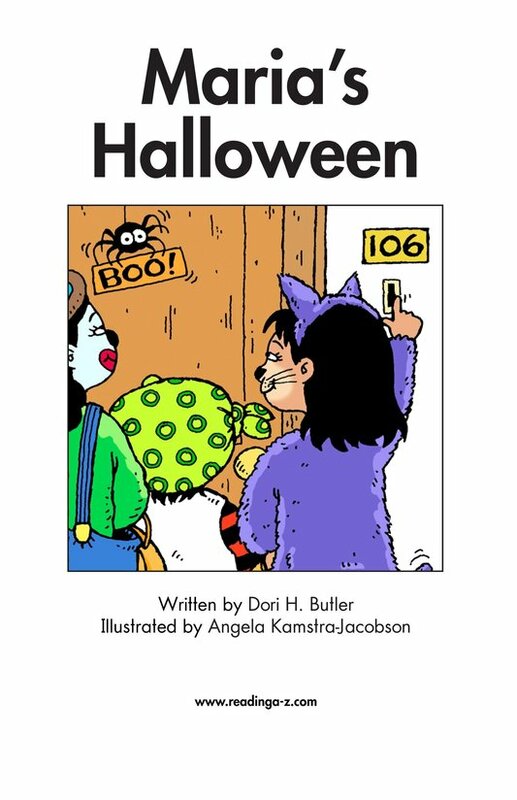 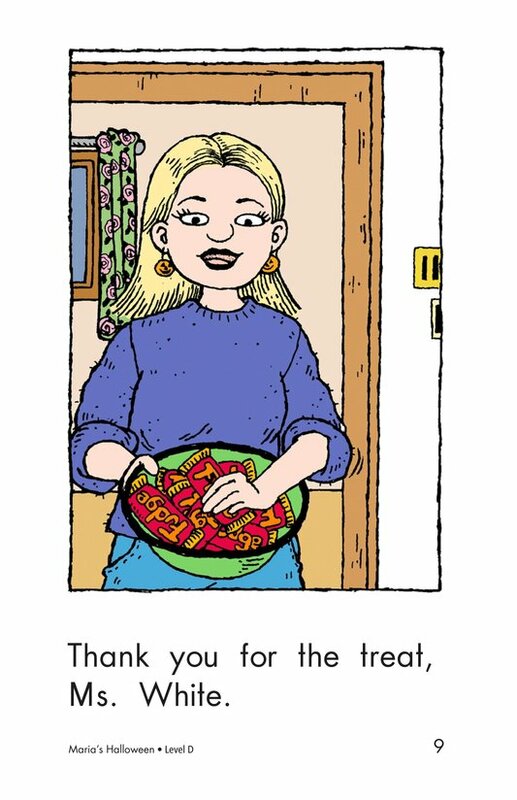 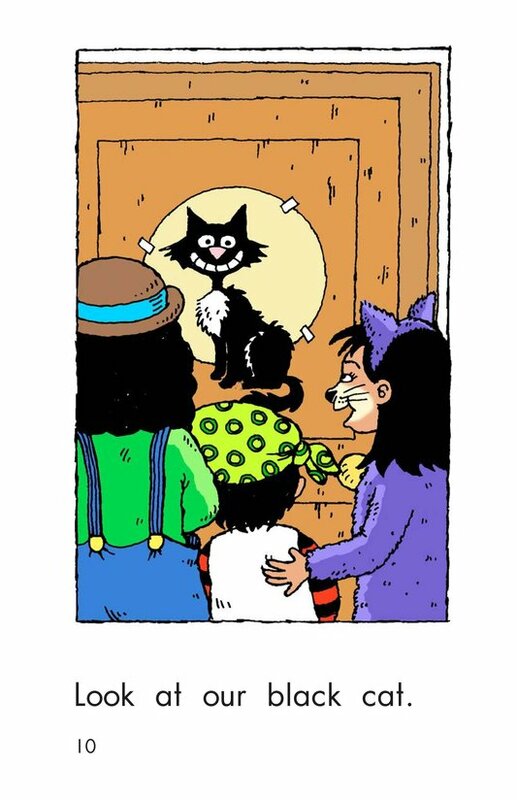 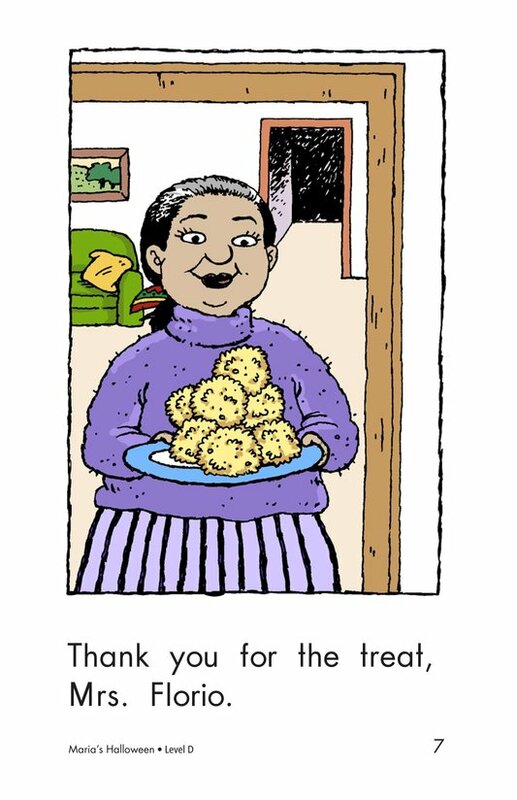 Maria's Halloween tells about a family's night of trick-or-treating. 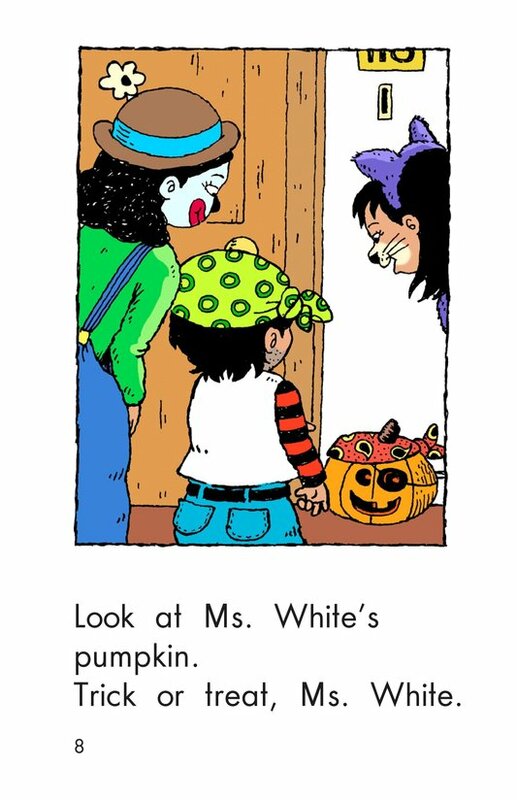 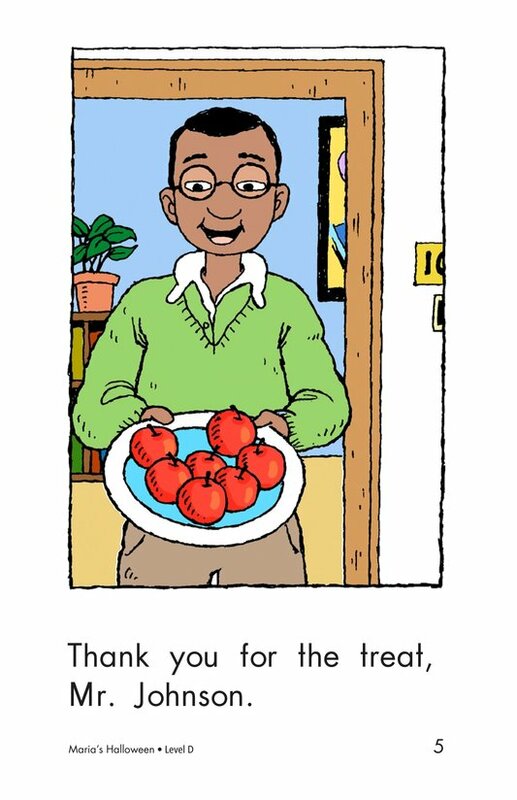 The story uses familiar vocabulary, high-frequency words, and repetitive text to support beginning readers. 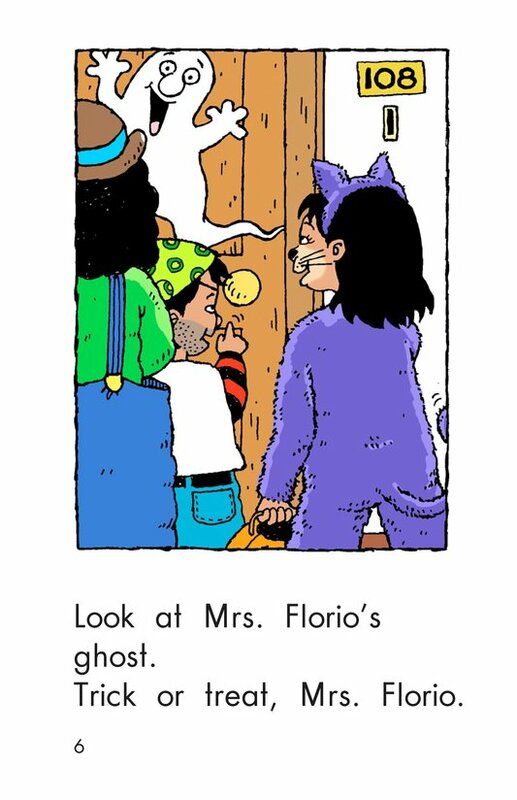 Students will enjoy the surprise at the end of the story.